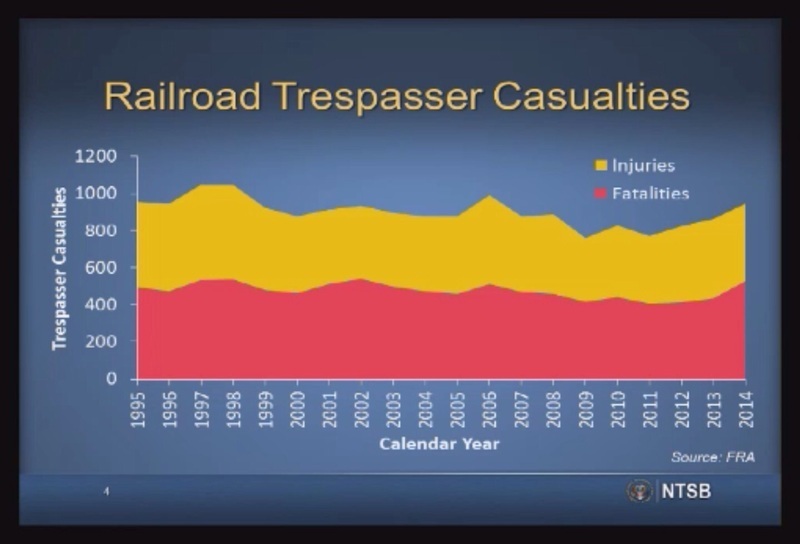 "As the nation’s chief rail safety regulator, nothing is more poignant to me than the simple fact that trespassing is the leading cause of all rail related deaths... Just last year, more than 500 people were killed and about 400 people were seriously injured as a result of trespassing. And as a safety official, this statistic is especially sobering, because each one of those deaths and injuries were completely preventable." says Sarah Feinberg, Acting Federal Rail Administrator. "Generally, Americans just don’t equate railroad rights-of-way or rail bridges with life-threatening danger. These lessons simply have not sunk into the consciousness of the American people. The bottom line is that our Nation, starting with our children, must think of railroads and rail operations differently." 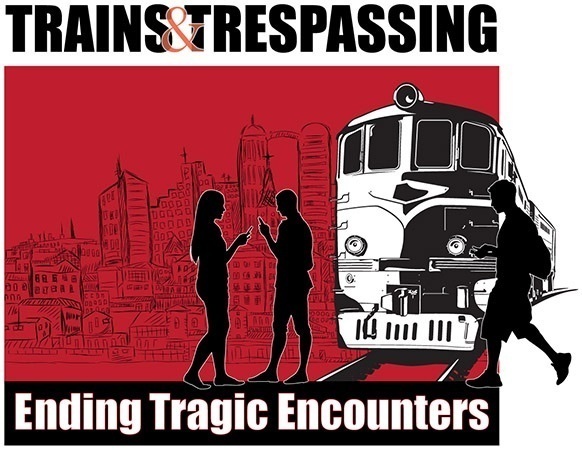 Feinberg made these remarks at the opening of the March, 2015 Forum on Trains and Trespassing: Ending Tragic Encounters. We couldn't agree more. Yet the Federal Government spends $220 million per year to improve the safety of road crossings but nothing on the safety of the actual corridors where these tragedies occur. Railroad corridors often divide communities. They may be the shortest and most direct path for locals to get to school, jobs or other destinations. Simply putting up a sign, handing out a brochure at the local Walmart telling residents not to walk on the tracks isn't working as rising trespasser casualties demonstrate. Making these corridors safer by offering multimodal accomodations and offering safe passage is a major step to reducing injuries and fatalities. According to news reports, 21-year-old Massachusetts man died after being struck by an oncoming train in Lymchburg, Virginia. Jonathan Gregoire of Wilbraham, Massachusetts was pronounced dead on the trestle, which spans the James River. Victoria Bridges, 21, of Newport News, VA also was on the trestle with Gregoire and suffered non-life threatening injuries. Bridges was transported by helicopter to Lynchburg General Hospital, according to police. This is the latest of several trestle accidents in recent years. A man was struck and killed by a train on the trestle in October 2012 and a Liberty University student was also killed and another seriously injured in November 2011 in the same location. 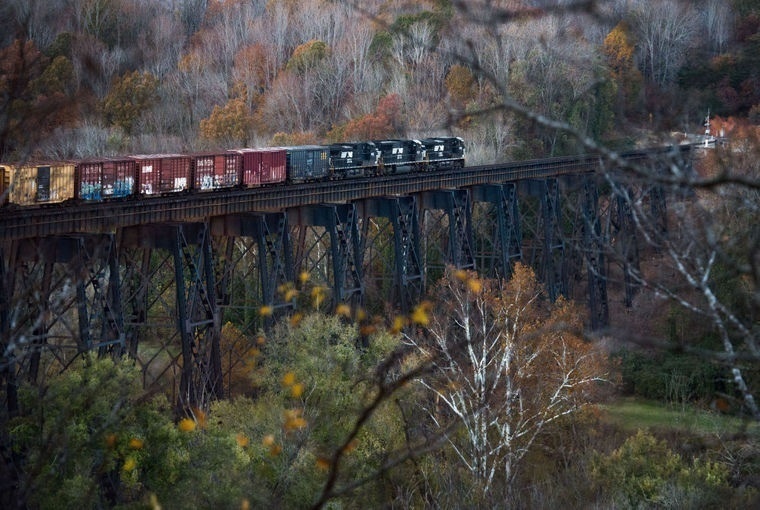 Robin Chapman, spokesman for Norfolk Southern, previously told the News & Advance sometimes people are on the tracks for either a shortcut home or a good overlook point. Freight trains do not keep regular schedules, they run day and night, anytime, he said. Once again, we ask: if a separated, protected trail were there, would this needless tragedy have happened? 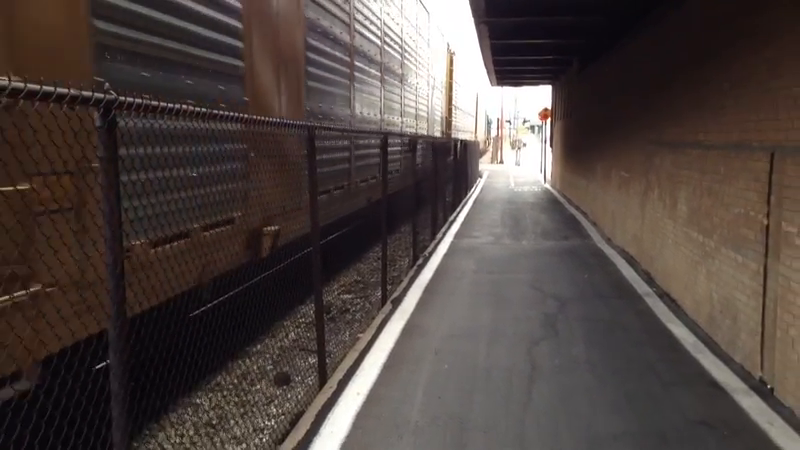 While biking the Great Allegheny Passage recently, a CSX freight train happened to pass by while riding In downtown McKeesport, Pennsylvania. The trail is very close to the tracks, certainly less than five feet away, but I certainly didn't feel like I was in any danger. 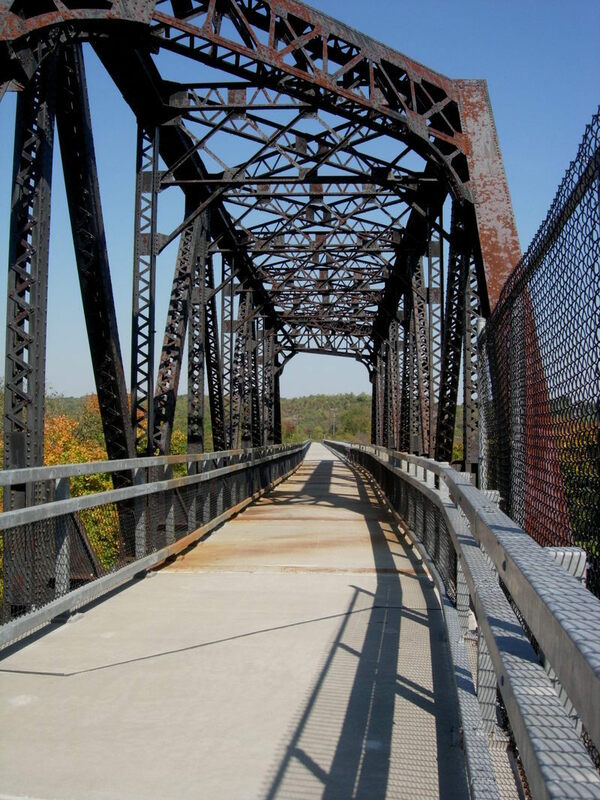 The Rails to Trails Conservancy has released a new report designed to be a resource for planners, agencies and advocates on trails along active railroad corridors. The report is based on research which studied 88 rails-with-trails in 33 states, based on a survey of trail managers and the results of their ongoing study over the past 20 years. It provides a collection of data, examples and practical tools to increase awareness of the rail-with-trail concept. There are 161 rails-with-trails in 41 states, a 260 percent increase since 2000. Rails-with-trails represent almost 10% of the total number of rail-trails in America. Another 60 rail-with-trail projects across the country are currently in various stages of development. Constructing a trail along an active railroad multiplies the value a community derives from the rail corridor and provides citizens with transportation options. There is a growing trend of rail-with-trail development alongside local and regional transit corridors. Fifteen percent of the active rails-with-trails identified in the study are located adjacent to mass transit corridors. 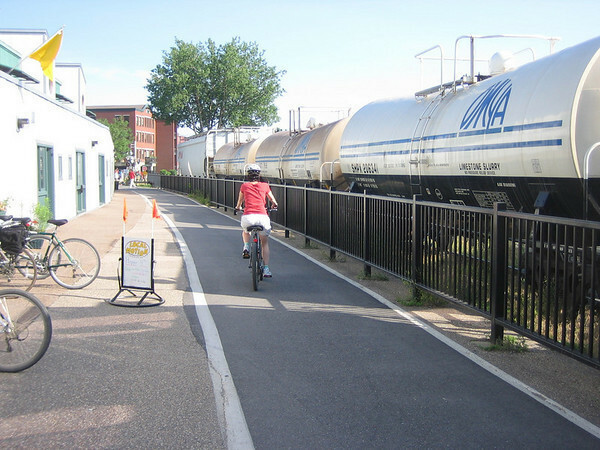 The vast majority of the rails-with-trails interviewed for the report are insured by an existing local umbrella policy, similar to most rail-trails and greenways. 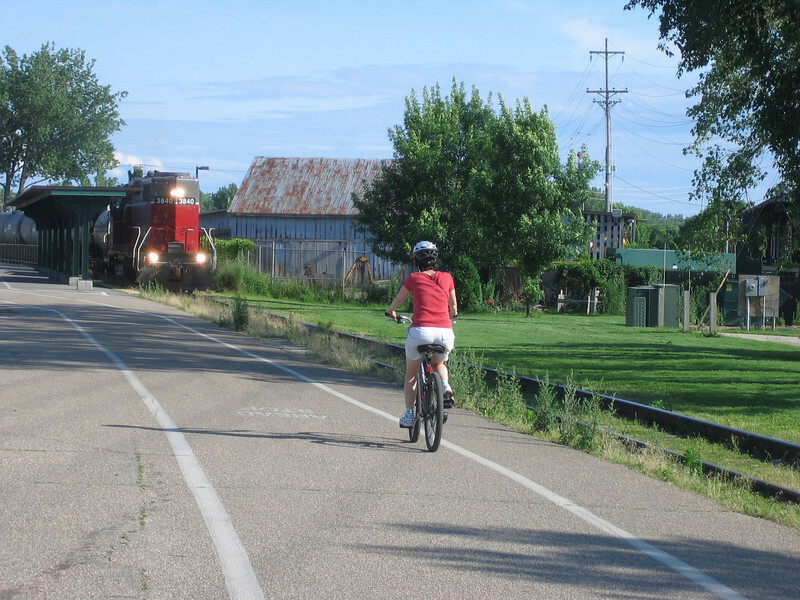 The report is a timely update to prior rail-with-trail studies published in 1993, 1996 and 2000, and complements a report produced by the United States Department of Transportation (USDOT) in 2002, Rails-with-Trails: Lessons Learned. A copy of the 2013 report can be downloaded here. Additional data and research behind the report may be found here. An increase in pedestrian train accidents and fatalities in the Chicago area has prompted officials to discuss how to keep distracted pedestrians safe around trains. The Northwestern University Transportation Center, along with the city of Lake Forest, Ill., sponsored a Pedestrian Rail Safety Symposium held on the University's Evanston campus. To listen to Northwestern Transportation Professor Ian Savage discuss the symposium, click here. The goal of the symposium was to generate recommendations that will encourage change in pedestrian behavior and reduce the number of accidents. A recent spike in pedestrian train accidents and the increasing prevalence and speed of commuter trains and light rail vehicles, which often travel at ground level, are of particular concern. With safe, separated facilities like rails-with-trails, the chances of pedestrians or cyclists being in jeopardy is greatly decreased. People are going to walk along these corridors. Let's make it safe for them to do so. Could RWTs Have Saved Many of These Lives? The St. Louis Post-Dispatch began looking into railroad pedestrian deaths in June, shortly after a fatal collision in Kirkwood, MO. It examined hundreds of fatalities across the country. The paper conducted more than 90 interviews, talking with victims’ families, railroad officials and workers, regulators, public officials and police, and reviewed thousands of pages of court documents, regulatory filings and industry publications. Rather than putting up more signs and looking the other way, if many of these deadly corridors were converted into safe-to-use, rails with trails, would the number of fatal incidents be loweredt? Photo by Richard Masoner of Cyclelicious. See more at Richard's Flickr. Pennsylvania's Montour Trail Council announced that it has reached an agreement with MarkWest Energy Partners, of Denver, Colorado, to build a three-mile rail-with-trail along the former Westland Branch of the Montour Railroad in Cecil, Mt. Pleasant, and Chartiers townships, Washington County, Pennsylvania. The Montour Trail is a multi-use non-motorized recreational rail-trail near Pittsburgh, PA that will ultimately extend 46 miles from Moon Township near Coraopolis to Clairton. Currently, multiple sections of the trail totaling over 40 miles are already completed. According to a Pittsburgh Post Observer article, MarkWest will lease the corridor from the Montour Trail Council. Ned Williams, president of the MTC, said that the 30-year lease agreement with MarkWest will bring major financial and recreational benefits. 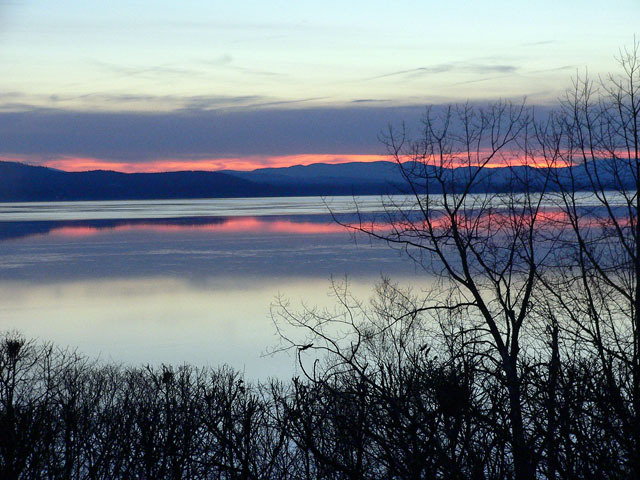 The Burlington Waterfront Bike Path runs for 7.6 miles along the waterfront of Lake Champlain with spectacular views of the Adirondack mountains in New York and the lake itself. The trail is used by an estimated 150,000 bikers, pedestrians, joggers, and in-line skaters each year. After nearly ten years of negotiations and review of the property’s condition, the Santa Cruz County Regional Transportation Commission secured State approval to purchase the Branch Line for $14.2 million with a commitment to make $5 million in improvements. By preserving the rail line as a continuous transportation corridor, the RTC will be able to provide transportation options for residents and visitors that may be feasible in the future. This could include passenger rail, transit, bicycle and pedestrian uses. 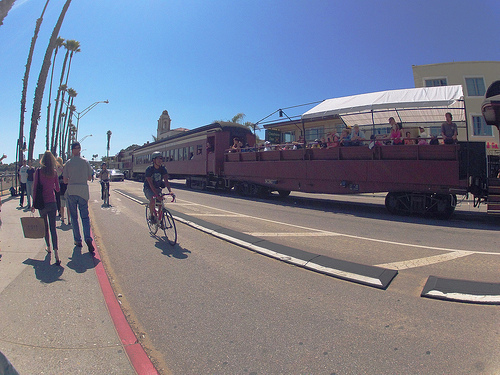 In the near term, the RTC will continue existing freight and recreational rail service and plans to establish new recreational rail service along the scenic north coast between the main beach area in Santa Cruz and the historic town of Davenport eleven miles north. Passenger trains and the coastal rail trail will run together along the coastal line to help students, commuters, and visitors to travel throughout the County. According to reports, many sections of the coastal rail line is beautifully forested and offers a very accessible, flat place to walk or cycle. For more details, visit the Friends of the Rail Trail website. The Santa Cruz trail is a key component in creating a larger, Monterey Bay Sanctuary Scenic Trail Network.